Anjon Manufacturing's EPDM LifeGuard Pond LinerTM is marketed in hundreds of pond kits, and installed in thousands of water features, worldwide. Professionals trust their reputation to LifeGuard Pond LinerTM! Durable and Puncture Resistant! LifeGuard Pond LinerTM is extremely versatile and is used in a wide variety of applications, including: Pondless Waterfalls, Skimmers and Waterfalls, Retention and Koi Ponds, and Fish Hatcheries. 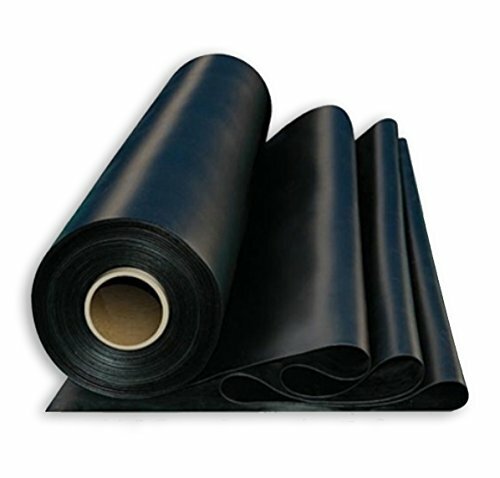 Resists UV deterioration and contains no plasticizers which become brittle and cause cracks and splits. LifeGuard Pond LinerTM is virtually indestructible; unaffected by hydrocarbons, mildew, rot, and freeze-thaw cycles! LifeGuard Pond LinerTM is Certified Fish & Wildlife Safe by Guardian Systems, Inc. and easily attaches to filtering waterfalls and skimmers. Readily accepts pipe and hose penetration without leaks, and can be easily seamed. Anjon Manufacturing's EPDM LifeGuard Pond LinerTM comes with a Standard 25-Year Manufacturer's Warranty; but, when properly installed with UnderGuard UnderlaymentTM Nonwoven Geotextile, Anjon Manufacturing's EPDM LifeGuard Pond LinerTM is warrantied for LIFE! If you have any questions about this product by LifeGuard Pond Liner, contact us by completing and submitting the form below. If you are looking for a specif part number, please include it with your message.